Investing in your career is one of the smartest investments you can make. After all, how long will your career last? How much will you earn throughout your career? The right advice can make a big impact on your happiness and your earnings. But all good investments need proper research so you are comfortable deciding. Here are a number of sources to help you understand what a career coach is and how to select one to help you. Yes, we are a career coaching firm, but our interest is to present our research so you can decide for yourself. Every great athlete has a great coach. In the same way, a career coach can help you achieve your goals. Read more. Before hiring a career coach, use these questions to help identify the best one for you. Read more. Career coaches are great for short-term transitions but what about transitions over the next 5 or 10 years? Read more. 13 benefits from a professional resume writing service – many you didn’t know! Read more. What if I don’t find the right career? 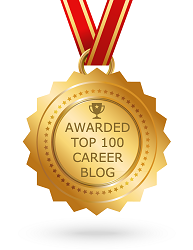 There are no guarantees you’ll find a new career with a career coach but you can count on this. Read more. Changing or advancing your career can be overwhelming. This is where a career coach can make a big impact. Read more. Expectations and preparation for both you and your coach.